Positive parenting is a term that gets tossed around a lot in mommy circles, but do people know what it really means? And no, it isn’t about being cheerful, or perfect, or optimistic. Though it might sound like that. 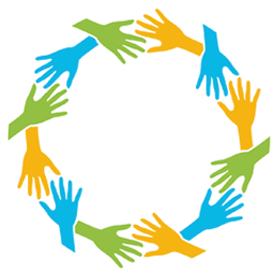 At its core, positive parenting emphasizes mutual respect and teaching through positive instruction. It focuses on learning how to do things better in the future, rather than punishing what happened in the past. Studies consistently show that using positive discipline results in better outcomes in terms of a child’s behavior, emotional growth, academic performance and mental health. 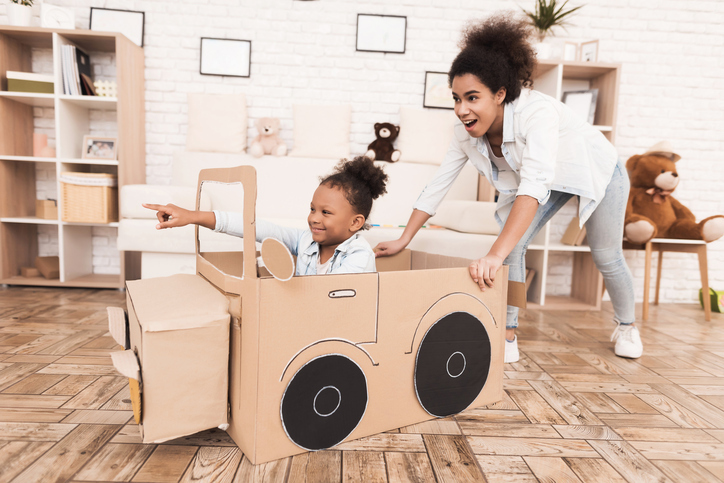 While it might be hard to think about positive parenting when your toddler is throwing a temper tantrum or you’re trying to clean spilled juice off the carpet, that’s when it’s most important. 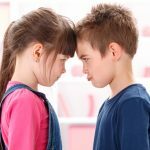 Once you’re familiar with positive parenting techniques, it gives you an alternate approach you can take other than the old-school punitive model many of us grew up with. 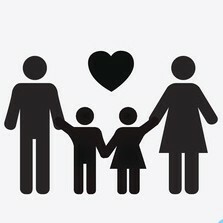 Positive parenting involves a commitment to approaching children with love and empathy. And this kindler, gentler approach to dealing with behavior problems works! A rapidly growing body of research supports the positive parenting approach and its effects on a child’s behavior, relationships, and overall happiness. Intrigued? So were we. 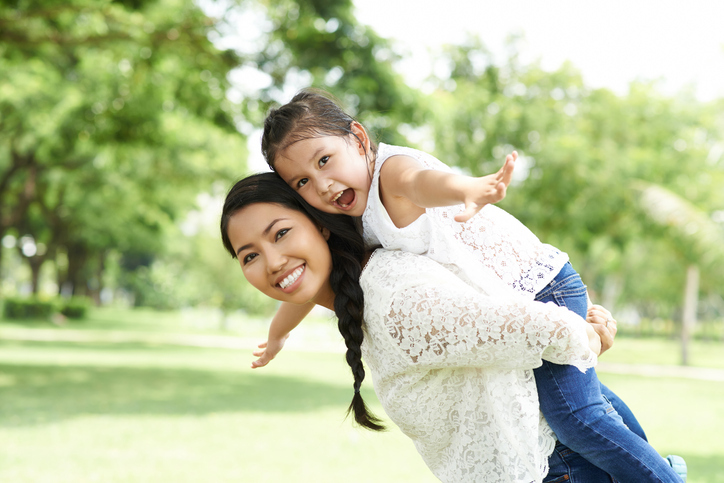 Which is why we wanted to gain a deeper understanding of the core tenets of this practice and share the 10 most important principles of positive parenting with you. No parent is ever going to be perfect, mistakes come with the territory. But what makes a parent great is recognizing when things go sideways and responding with empathy to rebuild the connection with their child. And that, my friends, is positive parenting. Read on to learn more about this powerful and loving approach to raising healthy and happy kids. Your child’s brain isn’t fully developed to the point of being able to handle complex reasoning and judgment, yours is. Be the calm, patient emotionally generous person that your child needs you to be. Model the type of decision making, empathy, and anger management skills you want your child to learn. Children are natural mimics, and you are their number one source of material. If they see you handling difficult situations in a calm fashion, they’ll learn to do it the same way. Your kids are little humans. They deserve the same care and respect as you’d afford any other human being. 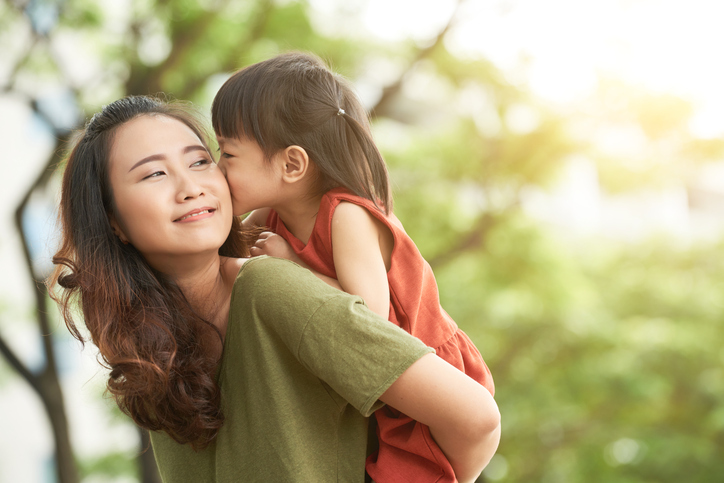 Studies show that children whose parents treat them in a loving, nurturing way grow a larger hippocampus, the part of the brain that promotes better learning, memory, and stress response. Kids are not property, they are unique individuals who deserve to be treated with dignity. That’s why positive parenting advocates for allowing children to grow and develop at their own pace and for not hitting, yelling, or causing any type of harm for teaching purposes. 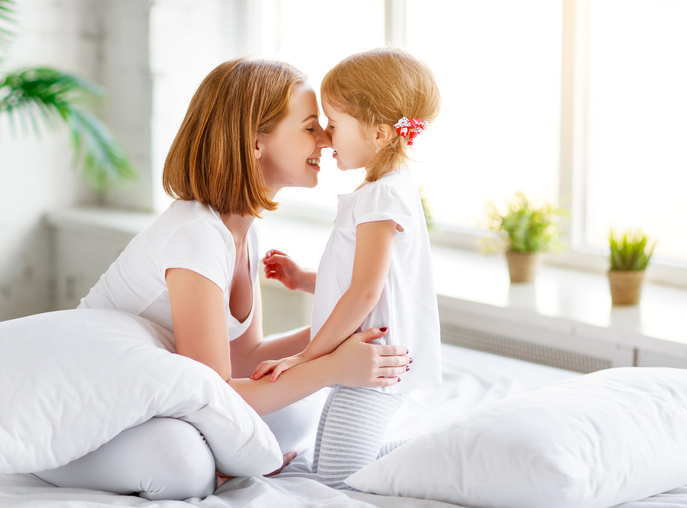 Positive parenting is strongly based on the attachment bond theory which basically says that the bond formed between kids and their primary caregivers affects their resilience, ability to regulate emotions, and future relationships. Big stuff! Children who don’t form secure attachments early in life often exhibit behavioral problems later on. 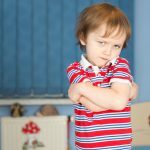 Research indicates that kids misbehave when they feel bad about themselves and disconnected from their caregivers. This is why positive parenting asserts that the most effective discipline strategy is having a close bond with your child. Kids who feel connected to their parents naturally want to please them, so nurture those bonds! Positive discipline does not mean a lack of rules or structure. It’s important to set consistent age-based guidelines so kids understand what is expected of them. In fact, even though they complain, kids actually like reasonable boundaries. Having predictable routines and “swim lanes” for behavior helps kids feel safe. One of the very best things you can do to improve your child’s behavior is spending quality one-on-one time with them. This gives children the positive attention and emotional connection they’re hard-wired to need. Punishment and discipline are NOT the same thing. The goal of punishment is to influence behavior by making a child suffer enough that they avoid a particular action in the future. There’s really no room for punishment in positive parenting. On the other hand, positive discipline seeks to fix mistakes by finding new solutions and learning new ways of doing things. You acknowledge what went wrong, but instead of hitting, yelling, or threatening your child to stop the behavior, you focus on teaching them how to do it better next time. 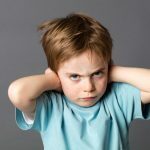 Time-outs are also not an effective positive parenting strategy because it basically banishes kids to a space by themselves where they don’t learn how to make better choices. Instead of being a teaching moment, a time-out just humiliates a child and erodes the connection they have with you. Plus research shows it doesn’t lead to better behavior. A positive parenting approach to discipline would look more like a “time-in”. You take a child out of the environment where the problematic behavior is occurring so they’re no longer triggered. But rather than leaving them alone to manage their tangled-up emotions, you’re there to help them calm down and figure out how they can handle the situation differently next time. While positive parenting takes a hands-off approach to discipline, as in no hitting, that doesn’t mean you shouldn’t intercede if someone is at physical risk. If a child is hitting another child, reaching for a hot frying pan, or biting someone… by all means, step in and separate them to prevent physical harm. But then turn it into a teaching moment and show your child why their behavior is dangerous and how they can handle the situation differently next time. In positive parenting you hear a lot about turning problems into “teaching moments”. How does that even work? It starts by recognizing that misbehavior is a symptom of a deeper issue. When you can figure out the underlying cause, you can use the right strategies to correct it. Your child having a meltdown at the grocery store is just the symptom, not the cause. What you want to figure out is the trigger. Is my child hungry? Tired? Feeling ignored? If you can stay calm and ask yourself these types of diagnostic questions, you can effectively address the real issue and end the unwanted behavior. Kids will do almost anything you ask if you make the request from a loving place. As often as you can, try to say YES instead of NO to keep your connection to your kids strong. Anytime you can, redirect instructions to a more positive option. Your child will respond with a loving attitude that matches yours. And finally, we want to clear up a common misconception about positive parenting. Some people think positive parents are permissive parents…that just isn’t the case. A strong positive parent takes a leadership role and focuses on guiding their kids to problem solve and make good choices. There is nothing passive or permissive about it. Positive parenting also means approaching leadership with empathy. Positive parents try to understand the needs of their children and interact with them in a way that helps them feel understood. All while continuing to enforce the limits and boundaries they set. At the end of the day, positive parenting is really about approaching your kids with love, empathy, and kindness… rather than using an authoritarian or punitive approach to enforce rules which leads to a power struggle. Positive parents actively guide their kids towards better behavior and help them learn to solve problems on their own, preparing them to be independent and happy adults. Isn’t that the ultimate goal of parenthood? SHARE the 10 principles of positive parenting on Facebook and Pinterest by clicking the buttons below.